My last few posts, I've been sharing some of the great tips I heard at ASJA Con Con. Today's focuses on the critical subject of how to make your pitch to a contenting marketing client stand out--and boost your chances of getting work from it. 1. Reach the right person. You may not be able to tell, at first glance, who the proper person to pitch at a company is. Check the company's website, and LinkedIn, looking for job titles like "marketing director" or "content strategist" to determine who that contact person is, says Jennifer Goforth Gregory. 2. Emphasize your relevant experience. Instead of describing yourself as a writer who covers business, highlight specific topics you've covered already. Companies want and need writers who already have a background in the subjects they want you to write about. Omitting those specialities may mean your letter is ignored. 3. Show that you "get" content marketing. Include a sentence that demonstrates that you understand the company's mission and brand. This sets you apart from writers who forget (or don't even realize) that content marketing is all about building customer loyalty. 4. Always follow up. Be a "friendly stalker," says Gregory. Follow up in two to three weeks, and touch base every few months after that to stay on their radar. Too many writers send one LOI to a potential client and then drop the ball. 5. Consider internal communications. Freelancer and content marketing writer Wendy Helfenbaum says that big companies have internal communications departments that need writers to research and write profiles, human interest stories, and other pieces targeted at employees. "It's about the companies engaging their employees," she says. "You may be writing for employee newsletters, and they want stories that have nothing to do with work." The people that hire writers are sometimes hard to identify--they're like ghosts, says Helfenbaum. Look for job titles like "communications manager" or "director of communications" to locate these opportunities. 6. Use a template. 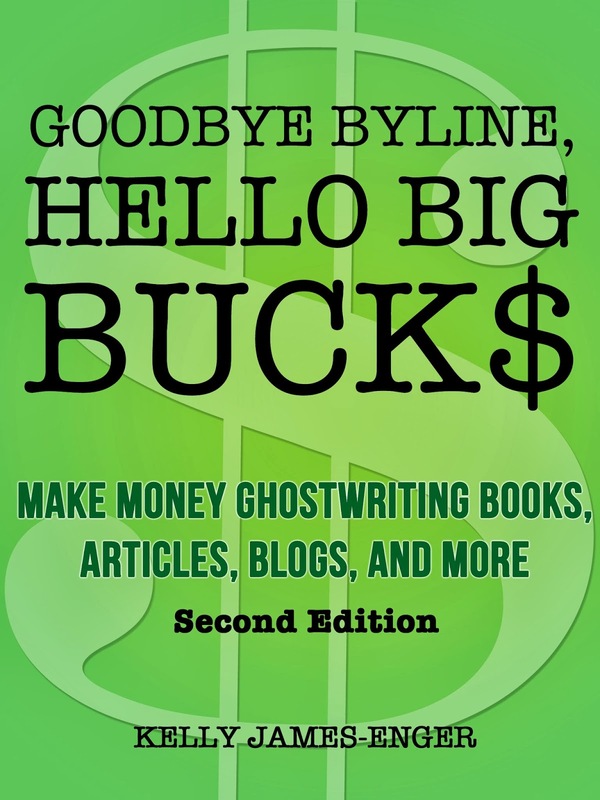 My latest book, Goodbye Byline, Hello Big Bucks: Make Money Ghostwriting Books, Articles, Blogs, and More, Second Edition (Kindle), includes templates of LOIs that Gregory and other content marketing writers and ghostwriters use, along with sample contracts, nondisclosure agreements, and bids. Don't have a Kindle? Download it here. 1. When on social media, focus on sharing advice that benefits your target clients. So, if you want to do content marketing for corporations or agencies, don't post about "how to make more money working for content marketing clients" (although that would be helpful for freelancers!). Instead, post about "how to use content marketing to create loyal customers." Get it? Think about what your potential clients want to read. So, for example, if I want to attract potential ghostwriting clients, I should post about how to hire a ghostwriter for cheap--which would be of interest for those looking for ghostwriters--and not how to make money as a ghostwriter, which would interest people like me. 3. Take the "LinkedIn for Journalists" training on LinkedIn. It's free, and completing it gives you a free upgrade for a year, which means you can in-mail anyone on LinkedIn for free. 4. Remember that anyone--editors, potential clients, your competitors--may be reading your social media feed. Don't post anything that doesn't positively reflect on you and your brand. 5. Use bit.ly or goo.gl to track response to your social media posts, and use that data when creating new social media content. This is one tip I'm going to immediately put into practice, and I'll report on the results in a month or two. Hey, readers! Thanks to all of you who have already purchased my latest book which covers both short- and long-form ghostwriting (think content marketing, articles, blog posts, books, white papers, and more!). I'll be announcing other special offers in conjunction with my new book, Goodbye Byline, Hello Big Bucks! 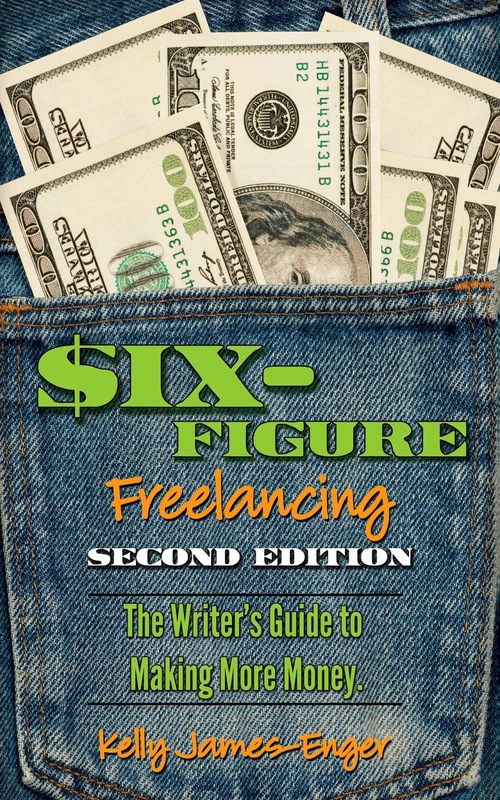 Make Money Writing Books, Articles, Blogs, and More, Second Edition, but here's the first one: review the book on Amazon or BN.com and I'll be delighted to give you an in-depth critique of your query or letter of introduction. Normally I charge $100/hour for this kind of consulting, so this is a great deal! Last week, I presented, moderated, and learned an incredible amount at ASJA's Content Connections conference in Chicago. My next series of posts (and Tweets) will share some of the valuable information I learned there. Make sure you tune in! Content marketing is, quite simply, where the money is. Corporations spent more than 40 billion dollars last year on content marketing and that number is likely to climb. Companies need writers who can create the content--whether in print pubs, online, in employee publications, white papers, you name it--that the companies than use to establish relationships with their customers. And if you freelance already, you probably already have the skills to get into the field--if you know what your niche should be. 1. Look at all of your recent clips. Make a list of the subjects you've covered. 2. Review the list of subjects and create a new list of the topics you've covered at least three-five times. These topics are possible niches. 3. Consider your background and experience. What other topics do you know about already? What expertise do you have? Add those subjects to your list of niches. 4. Now, the big question: who needs this information? Jennifer gave the example of writing about a zero-waste hotel. What kinds of readers might be interested in this kind of topic? Well, hotel owners, certainly. Restaurant owners, too, because the hotel that had become zero-waste had made many of those changes in its restaurant. Companies and businesses interested in going green, or using green technology to help them create less waste, cut costs, and attract environmentally-minded customers. Create a list of potential audiences who are interested in your topic(s). 5. Now research the brands and companies that market to those audiences. Those companies are your potential content marketing clients. Is it really that easy? Sure thing, says Jennifer. The next step? Creating an LOI to introduce yourself to a potential content marketing client. That's coming next. 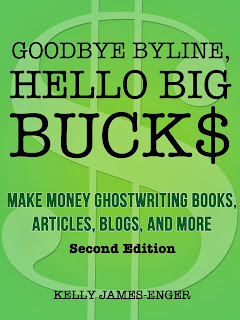 Goodbye Byline, Hello Big Bucks, Second Edition is HERE! Goodbye Byline, Hello Big Bucks: Make Money Ghostwriting Books, Articles, Blogs, and More, Second Edition is now available on Kindle for $9.99. Don't have a Kindle? 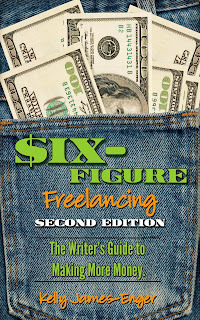 Buy it from Smashwords in every other format available (including PDF) for $9.99. Get yours today! This is the first Improvise Press book to be offered exclusively as an e-book. If you're looking for print books, check out Improvise Press' first two releases: Six-Figure Freelancing: The Writer's Guide to Making More Money, Second Edition or Dollars and Deadlines: Make Money Writing Articles for Print and Online Markets.